Former Vice-President Joe Biden has joined the many Democrats denouncing Harvey Weinstein, a longtime supporter of candidates on the left, following allegations that he sexually harassed and assaulted many women during his long career in Hollywood. 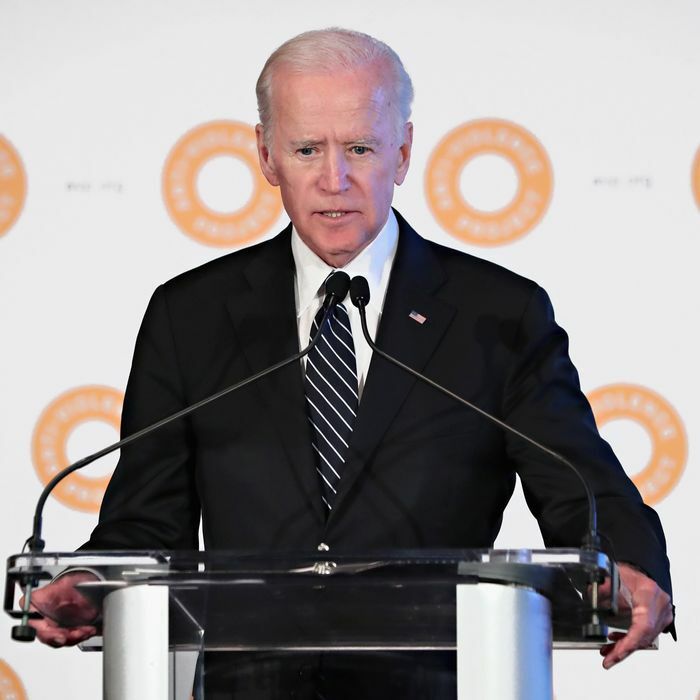 Biden condemned the film mogul at a Manhattan fundraiser for the nonprofit Anti-Violence Project, where he received an award for his work on behalf of the LGBT community. Later Biden called out Weinstein by name. Weinstein bundled more than $600,000 for the Obama-Biden campaign in 2012. Earlier this week, the Obamas issued a statement saying they are “disgusted” by the reports about Weinstein. Many Democratic lawmakers who took money from Weinstein have pledged to donate it to charity, and on Wednesday Hillary Clinton said she will do the same as part of her annual charitable giving. Biden is scheduled to speak at Rutgers University on Thursday to promote the It’s on Us campaign, which he started in the White House to combat sexual assault on college campuses. Presumably, Weinstein will come up.